Our Chrome browser previously helped detect what appears to be the same group using SSL certificates to conduct attacks that targeted users within Iran. In this case, the phishing technique we detected is more routine: users receive an email containing a link to a web page that purports to provide a way to perform account maintenance. 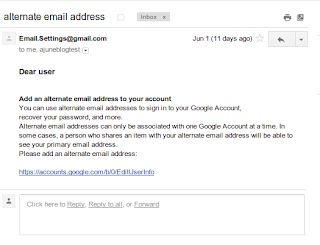 If the user clicks the link, they see a fake Google sign-in page that will steal their username and password. Protecting our users’ accounts is one of our top priorities, so we notify targets of state-sponsored attacks and other suspicious activity, and we take other appropriate actions to limit the impact of these attacks on our users. Especially if you are in Iran, we encourage you to take extra steps to protect your account. Watching out for phishing, using a modern browser like Chrome and enabling 2-step verification can make you significantly more secure against these and many other types of attacks. Also, before typing your Google password, always verify that the URL in the address bar of your browser begins with https://accounts.google.com/. If the website's address does not match this text, please don’t enter your Google password. I am Iranian. Now, I do not live in Iran. 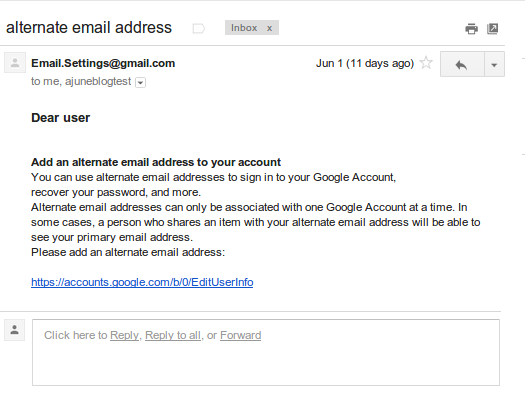 But, I got almost the same email which ask me to confirm my account information by sending them my email's password. The interesting point is the title of email was "Google Group" and the sender name was Gmail!! After opening the email, I received an alert from Google that this email is suspected to steal you personal information and I deleted it immediately! Thanks for this post with the online readers, phishing campaigns are disruptive and cause a lot of problem. I appreciate your efforts in sharing this post with us.